several changes have taken place in both the content of the MELAB and in its administration, including notable changes to the listening section. 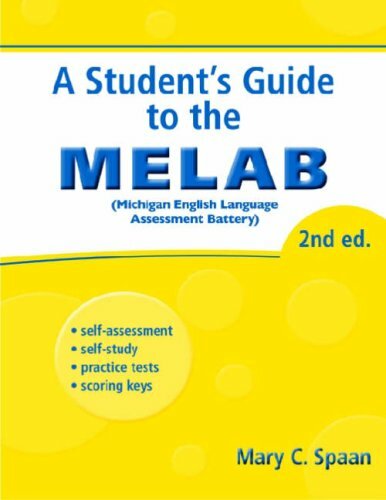 The second edition of this book includes general test updates plus information about the optional fourth part of the MELAB, the oral interview (speaking) with the local examiner. In addition to being required for some professional certification programs, the speaking test is strongly recommended for applicants to graduate-level programs at U.S. universities who wish to be considered for graduate student teaching assistantships and for candidates for fellowships, grants, or job-training programs.